Pennsylvania law allows public utility corporations to use eminent domain power when the proposed use is “for the public”. If the proposed use is for the corporation and the public, Pennsylvania law looks to who is the primary and paramount beneficiary. If it is the corporation, Pennsylvania law precludes eminent domain power. Transource Energy has sued 24 landowners, asking a Franklin County, Pa., judge to allow the public utility’s representatives to access properties to perform studies, tests and surveys as it proceeds with plans for 29 miles of overhead electric-transmission lines. The company, through a subsidiary, requested in court documents immediate right of entry onto defendants’ properties. It claims landowners are prohibiting access despite “numerous contacts” since October. “As a Pennsylvania public utility, Transource Pennsylvania has the power of eminent domain pursuant to the Pennsylvania Business Corporation Law of 1988,” lawyers said in filings. The Pennsylvania Public Utility Corporation, Bureau of Investigation and Enforcement, issued a report requesting an emergency order to stop the use of Mariner East 1 for transportation of explosive natural gas ligquids. The well grounded safety concerns compelled the PUC Chairman to stop the transportation of the hazardous liquids. Inspections and monitoring will follow. Pennsylvania’s Public Utility Commission on Wednesday ordered a temporary shutdown of the Mariner East 1 natural gas liquids pipeline, saying it could have a “catastrophic” effect on public safety if it leaks. PUC Chairman Gladys Brown approved a request by the commission’s Bureau of Investigation and Enforcement for an emergency order that would halt operation of the line until inspectors are satisfied that it meets safety standards. Eminent domain power is available only for a public use with the need for certain property rights. Public use and the need are two issues raised in a county suit to protect property rights. Northampton County wants a jury to decide whether publicly protected open space should be disturbed by the proposed PennEast Pipeline. The county is one of dozens of landowners in Northampton and Upper Bucks counties targeted by the consortium of energy companies for property acquisition through eminent domain. These properties are part of the proposed route for the 36-inch-diameter natural gas line connecting Pennsylvania’s Marcellus Shale region 120 miles southeast to Mercer County, New Jersey. PennEast opened eminent domain proceedings, suing property owners in federal court after efforts failed to purchase land for the route. 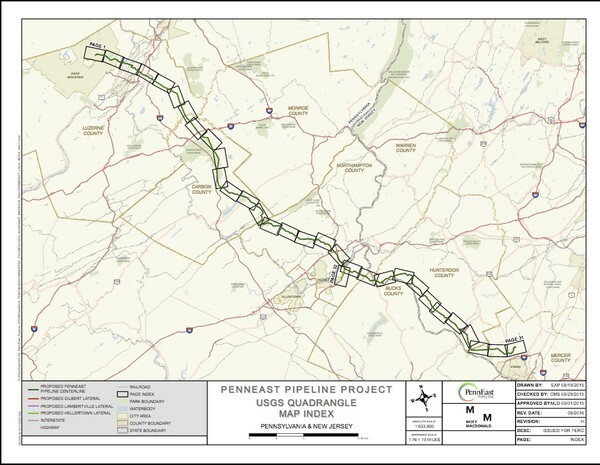 Federal regulators approved the $1 billion pipeline Jan. 19, conditioned on PennEast securing other necessary approvals. 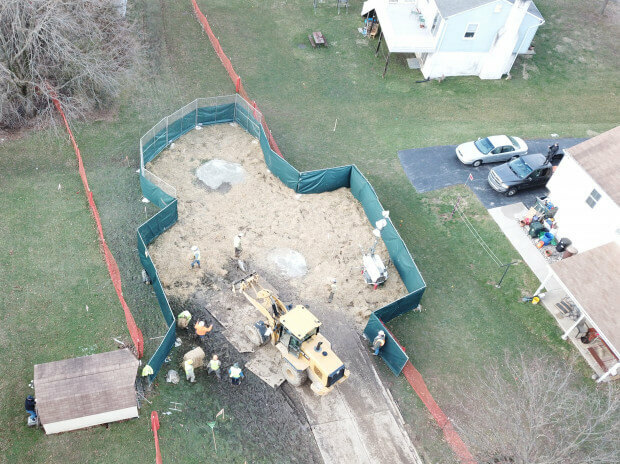 The Sunoco Pipeline Mariner East 2 pipeline construction as resulted in many spills and permit violations. The Pennsylvania Department of Environmental Protection warned Sunoco Pipeline and then suspended construction. Later, the DEP agreed to allow the restart of construction via a $8,600,000 fine. Faherty Law Firm had negotiated temporary construction easement down from 36 months to 18 months. Now, Sunoco seeks an extension of the temporary construction easements to complete required work. Property owners are not obligated to sell the extension of the prior easements. Faherty Law Firm represents property owners threatened by additional property rights requests from Sunoco Pipeline. A new volunteer organization is working to protect private property rights in Pennsylvania. Join in this admirable cause via ProtectOurPA@gmail.com. A new coalition formed by landowners in Pennsylvania wants to strengthen private property rights and lobby lawmakers to limit the use of eminent domain by natural gas pipeline companies working across the state. 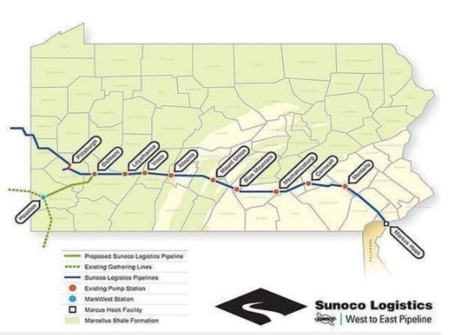 The coalition cited landowners’ struggles with Sunoco Logistics Partners LP’s Mariner East (ME) 2 pipeline and said it wants eminent domain to be applied more narrowly as more midstream companies work to build-out infrastructure to serve Marcellus and Utica shale production.